Hilton is increasing the category of 18 hotels and decreasing the category of two hotels for bookings effective July 8, 2015. If the hotel you want is going up in category in two weeks, book the hotel now to lock in the lower, current rate. Your stay can be through July 7, 2016 at current rates. These are the hotels getting cheaper. The DoubleTree in the Islington neighborhood of London will soon drop to 30,000 points per night on certain nights. These are the hotels getting more expensive. I especially hate to see the increases from Category 1 to Category 2 and Category 2 to Category 3, which are each a doubling of the number of points needed. There are only two ways to get value from Hilton hotels. 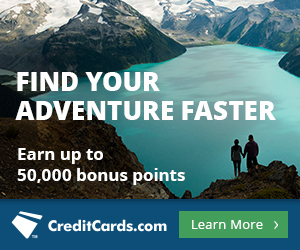 You can get the Citi® Hilton HHonors™ Visa Signature® Card, which currently offers 50,000 bonus points after $1,000 in spending and has no annual fee ever. Then you can use those points for stays at low category hotels. I particularly recommend Category 1 and 2 hotels, and here’s a spreadsheet of those properties. Category 1 hotels cost 5,000 points, and elite Hilton members get the 5th night free on awards. The Citi® Hilton HHonors™ Visa Signature® Card grants Silver status, so cardholders all get the 5th night free on awards. That means you can book 12 free nights at Category 1 hotels or six free nights at Category 2 hotels with the sign up bonus on the Citi® Hilton HHonors™ Visa Signature® Card. The other way to get value from Hilton hotels is to go for the top end. The Citi® Hilton HHonors™ Reserve Card comes with two free weekend nights worldwide at top tier Hiltons after spending $2,500 in four months. Some of these Category 9 and 10 hotels (see map of their locations) cost over $3,000 for a weekend! 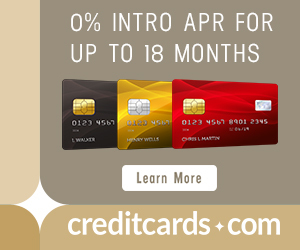 The Citi® Hilton HHonors™ Reserve Card also comes with Gold Status. About 0.5% of the 4,000 Hilton properties are changing category on July 8. If your hotel is going up in price book for a stay through July 2016 at its current price. category changes don’t affect people who use the Hilton Reserve card to get top tier hotel nights, but it somewhat hurts people who use the Citi® Hilton HHonors™ Visa Signature® Card to book Category 1 and 2 hotels.